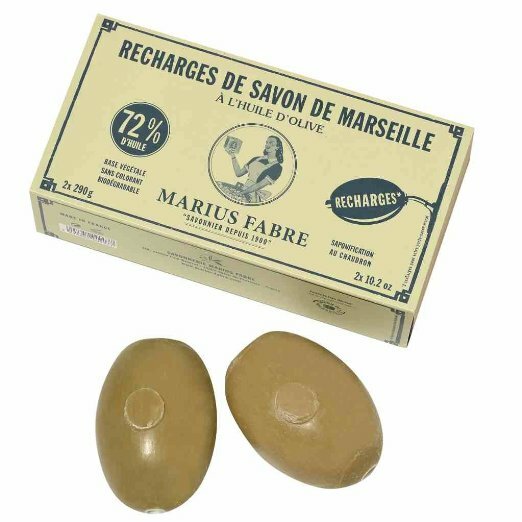 Marius Fabre Savon de Marseille made Since 1900 and for four generations in Salon-de-Provence, the family has been making soap that is cooked in a cauldron to traditional Marseilles soap-making methods. Made from vegetable oils –no coloring, no added fragrances and no synthetic products– these olive oil soap cubes are particularly gentle on the skin and on the environment. Set includes two refill soaps.